Meet Alexa and Dario. The sweetest couple you ever did meet. 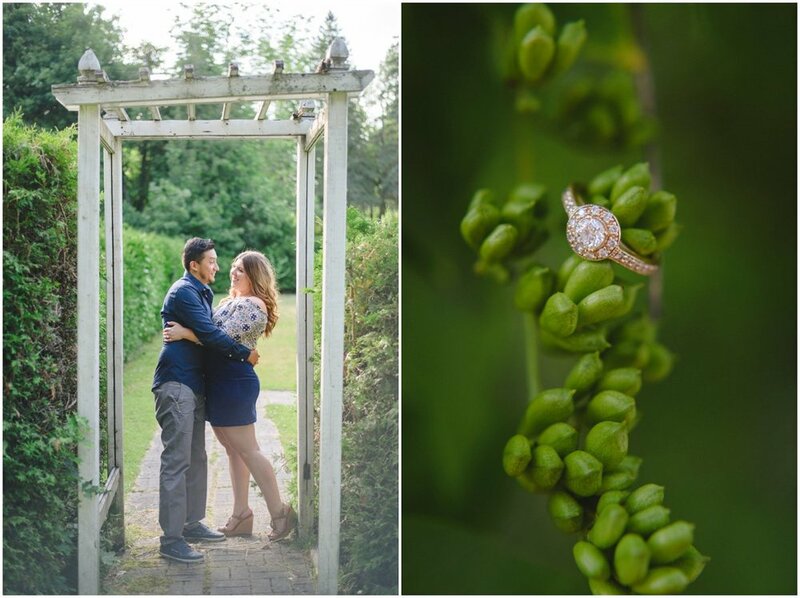 They are getting married in less than a month so I thought it was time to share their heart stopping engagement session at Scotsdale Farm in Georgetown. We spent the evening exploring and running through fields and climbing through tall grass. I also spent time drooling over her stunning engagement ring! 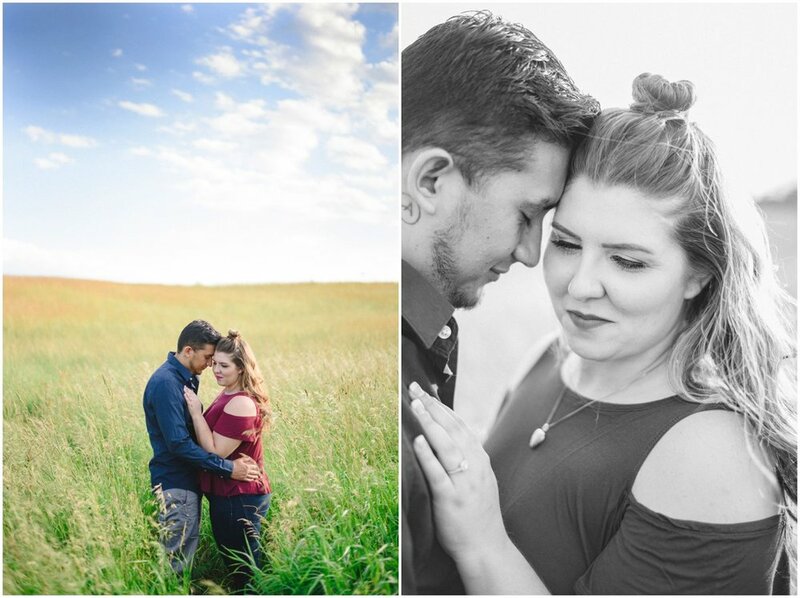 It was a dream to photograph them in such a lovely location and I am counting down the days till their wedding in October. Its finally time to blog about this awesome styled shoot from this past winter. It was so much fun to put together and work on. We set out to create a gothic, vintage vibe. We started out with the image of blackberries in the snow and everything spiralled from there. We incorporated vintage details like the 100 year old vintage wash stand and silver mirror. Throw in a blanket of snow and such perfect light and you have a recipe for perfection. The beautiful flowers were designed and created by Aspen Florist, the gorgeous cupcakes by Honey Bunns Bakery and the hair and makeup were styled by Corrie Elle Artistry. Does it get any cuter than this? I mean seriously. 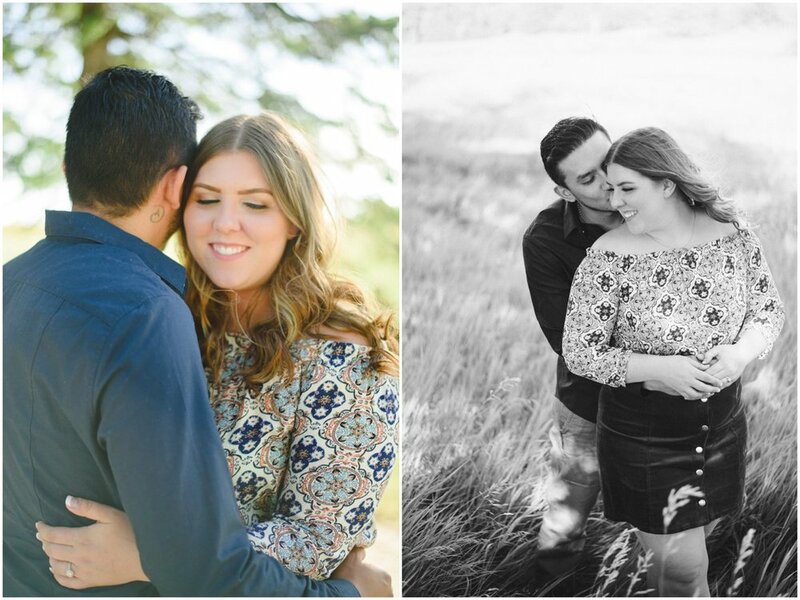 This engagement session was to die for. We started off at their favourite restaurant in the whole city, Wvrst on King Street West. Just chilling, having a few drinks. Naomi and Lanson were so comfortable around each other. Laughing and snuggling up to each other with no direction from me might I add. Not surprising when you consider that they've been together for eight years! You'll love the way that he proposed too. They often go rock climbing together so Lanson saw his opportunity. Right when Naomi reached the top he dropped to one knee and yelled up at her that he wouldn't let her down unless she agreed to marry him. How can a girl say no to that? Luckily Naomi was all for it. I loved photographing this wonderful couple in one of their favourite spots in the city. There is just something so real and raw about them. 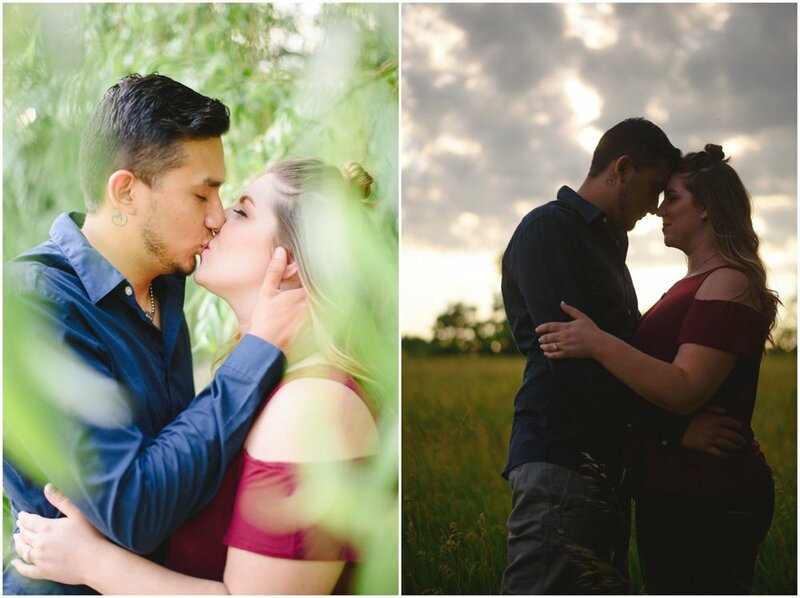 Naomi and Lanson, I can't wait to photograph your wedding in August and see more of your love for each other shine out.